We would like to share with you some of the highlights from the previous year and tell you a little about our plans for 2016. Please review the attached Annual Report to see what we accomplished in 2015. 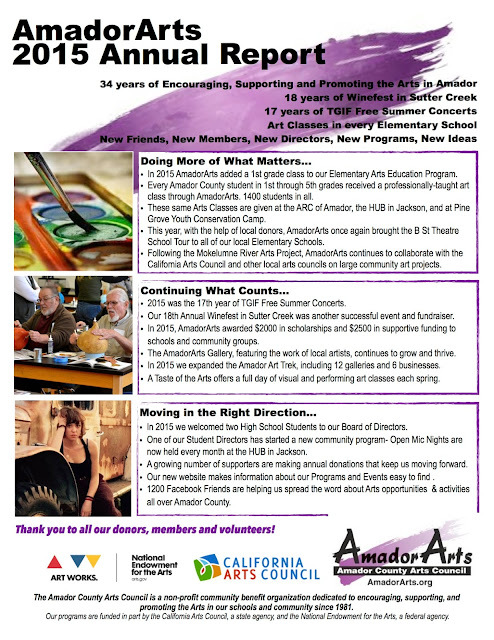 For more than 30 years, the Amador County Arts Council has worked to nurture the cultural vitality of our area. Our Arts Education program now serves all of the 1st, 2nd, 3rd, 4th, and 5th grades in Amador County, bringing high-quality, standards-based arts classes to over 1,400 students. In addition to these art classes, AmadorArts coordinated in-depth Artist Residencies at Pioneer and Pine Grove Elementary Schools, providing students with 12 weeks of instruction on the Elements of Art and an introduction to poetry. We contract with B Street Theater of Sacramento to bring their educational School Tour to all six of our local elementary schools. Art classes were also arranged at the HUB, after-school program in Jackson, at the ARC of Amador to developmentally disabled adults, and at Pine Grove Youth Conservation Camp. 2015 was the 17th year of TGIF Free Summer Concerts in the Parks, and the 18th year of Winefest. Other programs continue to grow, including: A Taste of the Arts, a full day of Art Classes open to students and adults; and the Amador Art Trek, a self-guided tour of local galleries and businesses. 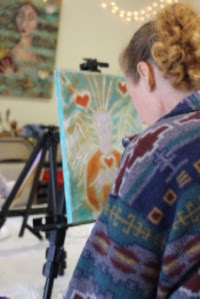 As we go forward into 2016, AmadorArts plans to continue these established events, and add new opportunities for our citizens to experience the arts, such as Adult Art Classes and Open Mic Nights. We depend on the continued support of our community to make our work possible. This year, we received significant donations from Jackson Rancheria and the Amador Community Foundation, in addition to the annual donations of over 200 members. We are grateful to everyone who works with us to encourage, support and promote the Arts in our Schools and Community. 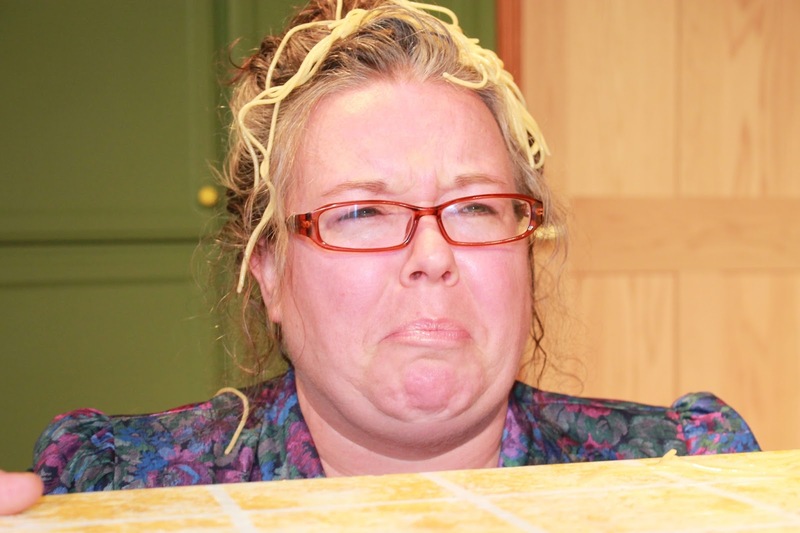 The Blue Mountain Players present Cookin’ with Gus, opening February 12th in West Point. This laugh-out loud comedy, by Jim Brochu, follows chef and cookbook author Gussie Richardson as she tries to secure her own television cooking show. Unfortunately, Gus’s stage fright gets in the way of her dream. No one escapes the mess that ensues as her friends try to help her overcome her fears. Cookin’ with Gus is directed by Terra Forgette, and features a great cast of Blue Mountain Players regulars and some new faces. Local singer-songwriter Meghan O’Keefe stars as “Gourmet Gus”. She is joined by Laurel Lickteig as “Carmen”, the Gypsy Princess next door neighbor; Dennis Adams as Walter Richardson, Gussie’s couch-potato other half; and Jeff Haight as “Bernie” her high-energy agent. Director Terra Forgette read dozens of scripts searching for just the right fit for the small, unique community theater in West Point. And she found just the thing in “Cookin’ with Gus”! 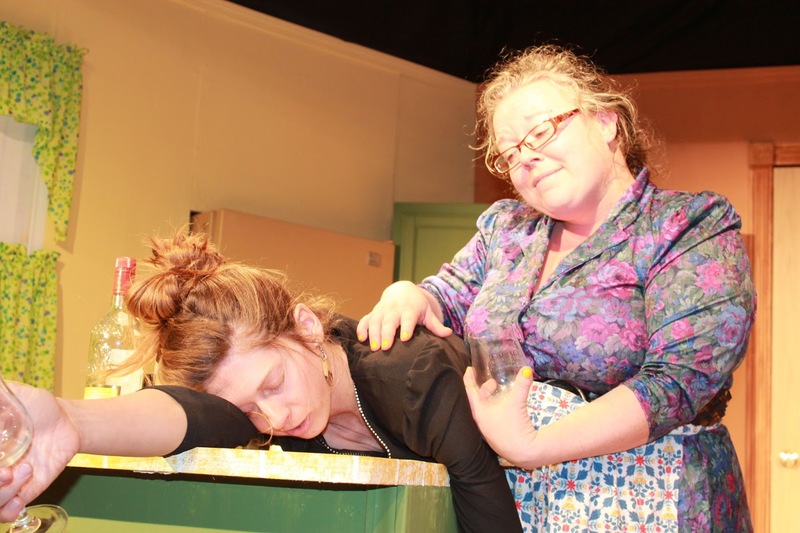 Gypsy neighbors, hypnotism, booze, food and fun!- this play has it all. Cookin’ with Gus opens Friday February 12th, and runs through Saturday the 27th. Friday and Saturdays shows, February 12th, 13th, 19th, 20th, 26th and 27th start at 7:30pm, doors open at 7pm. Sunday Matinees, on February 14th and 21st, begin at 2:30, doors open at 2pm. Join in the fun with a special Margarita Party on Opening Night or bring your Valentine to the Sweetheart Matinee on Sunday February 14th.Call 209 293 7979 or 209 293 3100 for tickets. 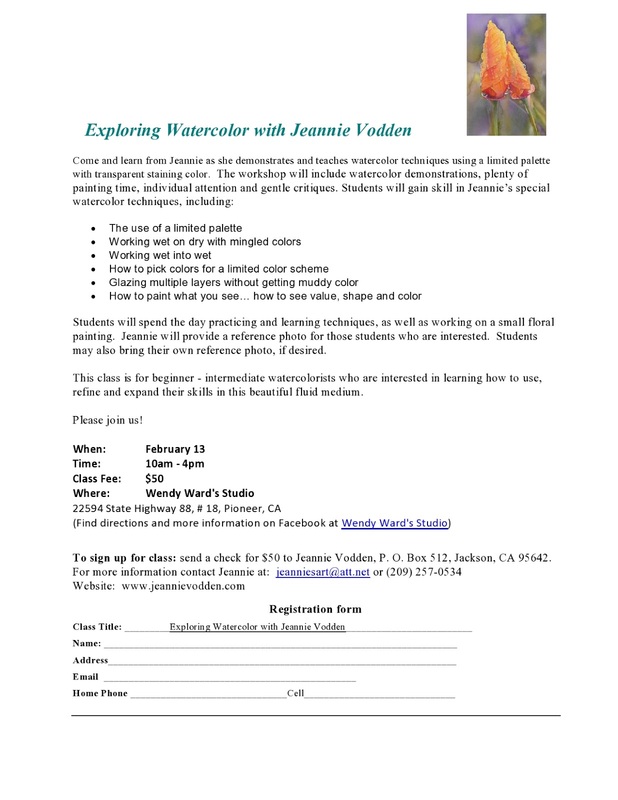 The new year sees the expansion of Amador Art Trek, the fun, free self-guided tour that provides easy public access to where art is located, whether in galleries or businesses that hang unique art on their walls. 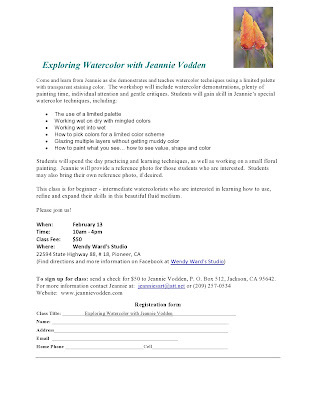 A new brochure is in the works which will act at a quick reference guide for the Amador Art Trek. Widely available in February, this will provide a map, and list the names, addresses, and hours of the participating “Art Trekkers.“ If you’re a visitor, you’re an Art Trekkie! Part of the Art Trek are the monthly “1st Saturdays” when some participating galleries have receptions in the afternoon to kick-off their new shows. Since within Amador and part of Calaveras County is a thriving creative community this is the best time to experience it, even meet artists. Can’t make Saturdays? You can go on the Art Trek ANYTIME that the galleries are open. 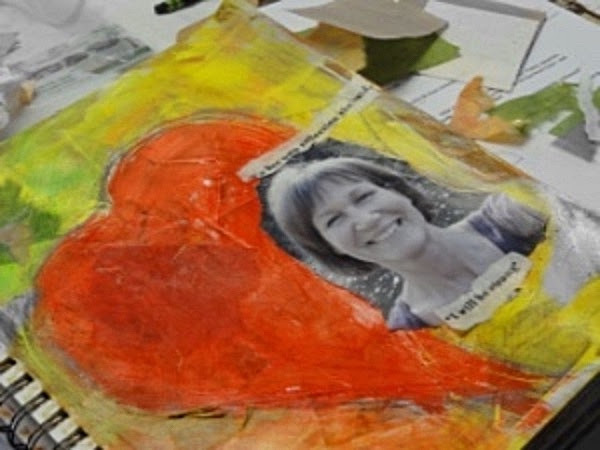 Go to www.amadorarts.org to find the details about each month’s specific art events. NEW Acme Art Mokelumne Hill Called “A Creative Playground” because owners/artists Anne Cook and Will Mosgrove will be offering many affordable Saturday art workshops each month, including a few free ones, and “Schnickle” –creativity, camaraderie and cocktails on Wednesday evenings for $25 a person. Add Art- Jackson. Fine art framing services and the colorful work of the late John Johannsen are featured. 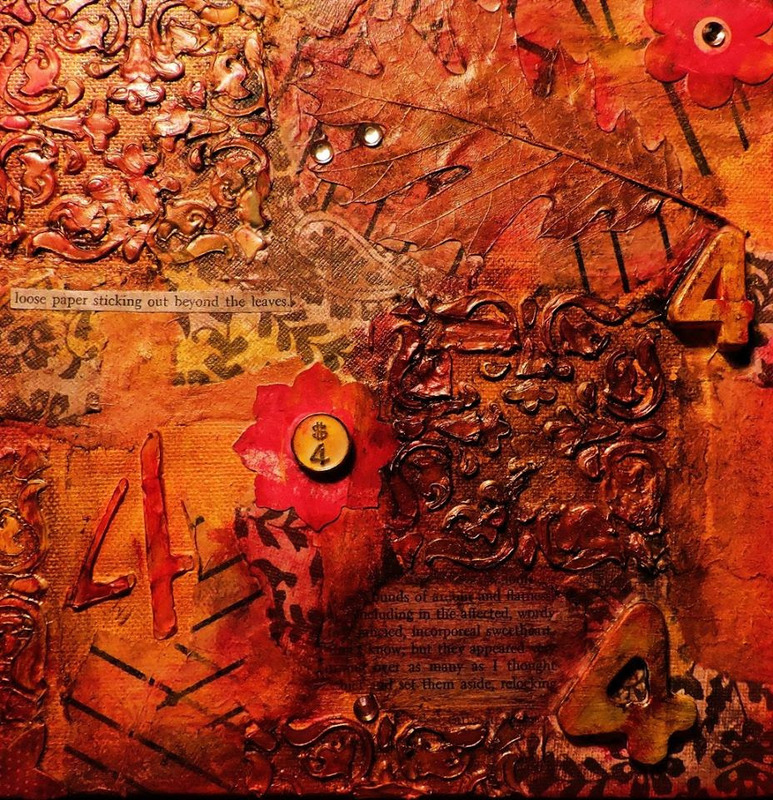 This world renowned artist’s whimsical canvases are sought after by many collectors. We are saddened that his home/studio where he once lived and stored his work in Jackson recently burned to the ground. 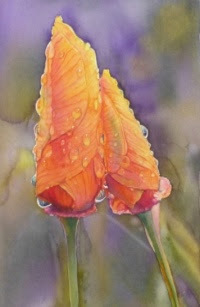 AmadorArts Gallery- Sutter Creek. Oil painter Sarah Dixon’s “Cat Exhibition;” Jewelry artist Karen Crane’s “Pretty Baubles, All in a Row;” and Photographer Cynthia Dunn-Selph’s new photography of local scenes. On Feb. 6, gallery opens at 11 am, reception at 3-6 pm. Normal hours are Sats. and Suns. from 11 am to 4 pm. Call 209-267-9038 for weekday hours. NEW Amador360- Plymouth. Right on Highway 49, this is an art-filled tasting room for boutique, hard-to-find regional wines. Fine Eye Gallery- Sutter Creek. For February: Debo Groover and Anthony Hansen. Groover stretches, scratches, scrapes and glues sheets of resilient, pigmented polymer clay into mixed media paintings. Her specialty: portraits of birds. Hansen is the Valentine of Valentines. See the detail of his big, bold beautiful hearts that are weather-worn sculptures. NEW Full Circle Trading Company - Jackson. NEW Gifts, art, toys, and more. Gallery 10- Sutter Creek. "All Things Wine." 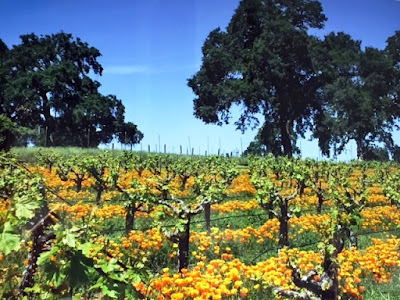 Their artists have been busy painting vineyards, still life, and many creative ways to express their love of fine Amador wines. The reception for the show will be held Saturday, Feb. 6, 2-5 pm. Little City Studio and Gallery- Amador City. For Feb, a fresh collection of art pieces from Little City's local artists known for beautiful art like weaving, knitting, quilted works, jewelry, cards, and pottery. Petroglyphe Gallery- Mokelumne Hill. For Feb., Robert Held Glass will be featured…lots of his sparkling hearts for Valentine’s Day. Rosebuds Café- Jackson. Family-run farm-to-fork café featuring local ingredients and great art on the walls, even occasional live music. Sina’s Back Roads Café - Sutter Creek. Serving coffees, breakfast and lunch in a cozy art enhanced environment that also puts the spotlight on local musicians every now and then. Sutter Creek Gallery- Sutter Creek. Anje Olmstead’s paper mosaic collages that use techniques which has garnered Olmstead many fans. 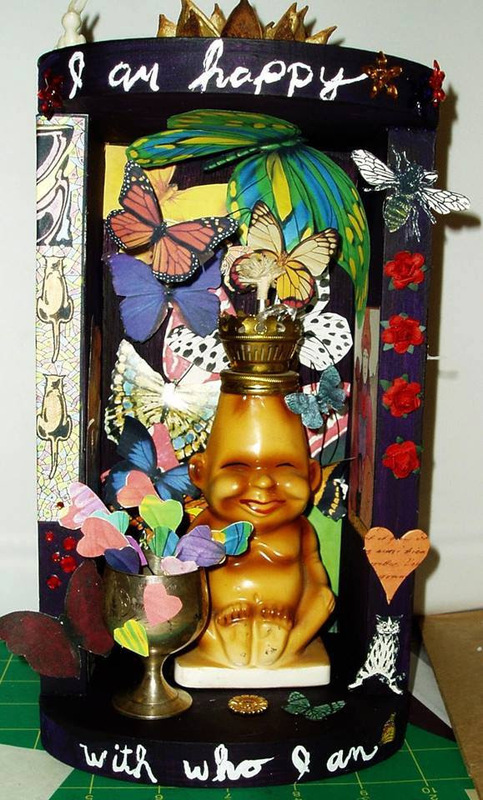 On Feb. 6 Join them from 4 to 7 p.m. to meet Anje and view her new artworks. Union Inn and Pub- Volcano. In an old Gold Rush town, population 108, this restored historic small hotel and pub showcases local art and photography of local scenes, all for sale. NEW Uphill Vineyards- Amador City. Featuring estate-grown, award winning wines and showing original photography, acrylics, and other media by local artists. 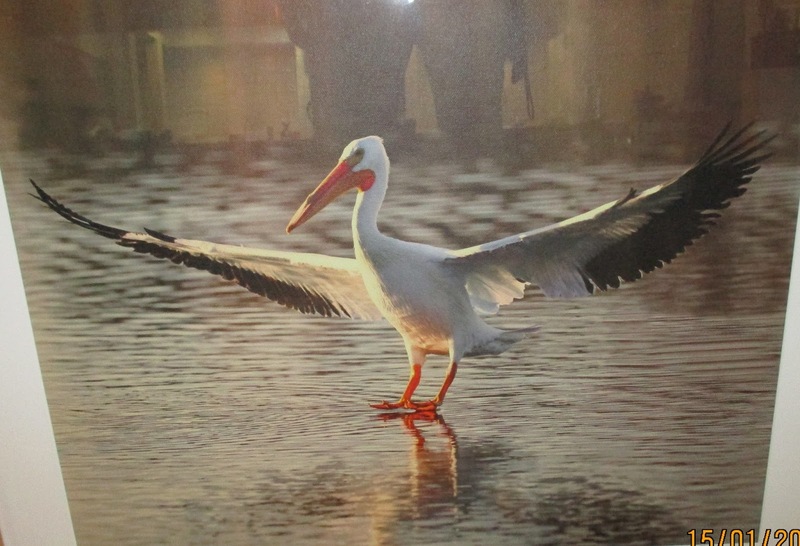 From February 17 to March 13 the “AnimalScapes of the Sierra Foothills” Art Event will be installed in the banquet room, next to the restaurant, of The Hotel Sutter in Sutter Creek. The public is invited come by and see the 54 original pieces of juried art and poetry created by artists in three counties that explores the diverse animal world found in the Sierra foothills. The exhibit will be open daily, with most of the works for sale. The Amador Opening Reception for “AnimalScapes” will be on Saturday, February 20, from 3:00 to 5:00 pm at The Hotel Sutter. 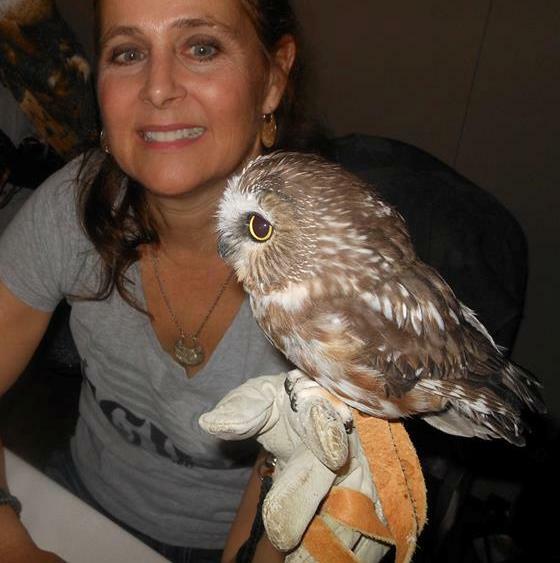 Besides enjoying live music by singer/songwriter Jill Warren, guests will observe several live feathered friends including owls and hawks brought to the event by Tri County Wildlife from its “Saving Wildlife Saves Us” educational program. Spokespersons from California Dept. Fish and Wildlife, and the Performing Animals Welfare Society (PAWS) will also be on hand. The event is free and open to the public. 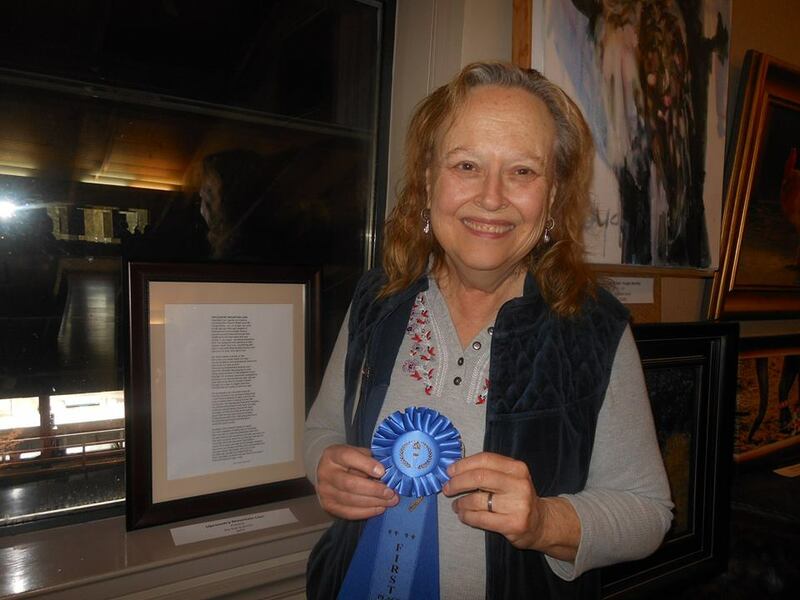 The following Awards, based on the votes of six Art Jurors, were announced at the kick-off exhibit in Calaveras County. Two-Dimensional Art: First Place-Wendy Rogers for "Black Bear - Colorful Woods"; Honorable Mention- Martha Wallace for "Up River Sourgrass"; Three Dimensional Art: First Place Alex Adams-Halstead for "Bear Cub's First Salmon"; Honorable Mention-Sarah Switek for "Hoo Cares About Me?" Photography: First Place - First Place- Susan Connor for "Thika"; Honorable Mention - Steve Brooks for "Star Bucks!" Poetry: First Place - Kat Everitt for "Upcountry Mountain Lion"; Honorable Mention - Linda Toren for "Ah wah nah tah." Anybody who comes to see the exhibit during its run may take part in the Popular Choice Award voting. This won’t be easy, because, after all, who doesn’t love to see a photograph, painting or sculpture of pets, wildlife or exotic animals? After its stay in Sutter Creek, the exhibit will be packed up and moved to the lobby of the Black Oak Casino Hotel in Tuolumne. This will be the final show of the project and will occur from March 15 to April 3, with the opening reception on March 19. The landmark “AnimalScapes” project was created through a “Creative California Communities” grant from the California Arts Council, a State Agency and is a collaboration of the Calaveras Arts Council, the lead agency, with the arts councils of Amador and Tuolumne Counties. A similar project last year was “River Reflections.” For more information, ie. the list of finalist artists and poets, visit: www.calaverasarts.org or phone 209-754-1774. Amador artist Michiyo Watanabe entered this amazing photograph of a crane. The non-profit Tri-County Wildlife Care and the Dept. of Fish and Wildlife will bring their unique exhibits to each “AnimalScapes”reception, including the one in the Hotel Sutter. 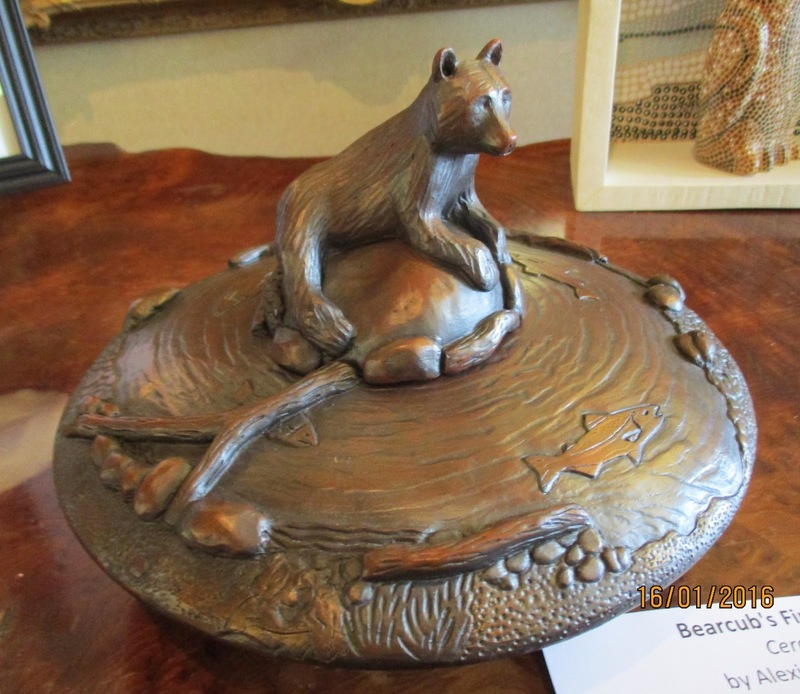 This 14” ceramic work, “Bear Cub’s First Salmon,” was created by Alexis Adams-Halstead of Sonora and is the First Place winner in three-dimensional art. 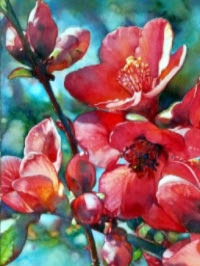 Three artists are in the spotlight during AmadorArts Gallery February show. Don’t miss Sarah Dixon’s “Cat Exhibition,” Karen Crane’s ”Pretty Baubles, All in a Row”, and new photography of local scenes by Cynthia Dunn-Selph. The opening date is 11:00 am Saturday February 6 during the 1st Saturday Amador Art Trek, with a free and open-to-the-public reception for the three artists from 3 until 6 pm. Meet the artists, enjoy refreshments and be the first to buy their newest works. AmadorArts Gallery is located one block off Main Street in Sutter Creek at 11-A Randolph St., next to the Monteverde Store Museum. 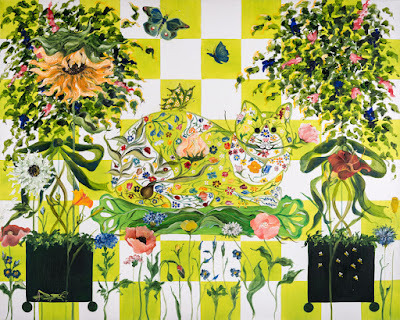 Sarah Dixon moved to Amador from Atlanta several years ago, but she brings to her work a background in southern floral design that produces glorious, lyrical, and fanciful paintings rendered precisely and executed in oil paints of vibrant colors. 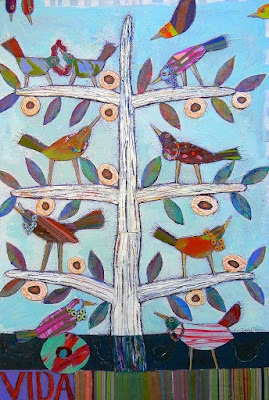 For this February show, she’s featuring her “Cat” works, which include four large paintings and 14 smaller ones, all oil on canvas, in a folk art, whimsical style. These paintings incorporate intriguing symbolism and humorous surprises. You’ll notice how Dixon’s works evoke delight and discovery that increase over time. “Pretty Baubles, All in a Row” is the name of Karen Crane’s spring collection of jewelry to be debuted in this gallery show. Using pastel and bright colored beads and stones, including rose quartz, rubies, and amethyst, the new work for spring reminds of pretty floral bouquets filled with delicate flowers. Also, the collection includes new “nest” pendants, and Crane’s signature hoop earrings, all made with pearls and pretty gemstones. 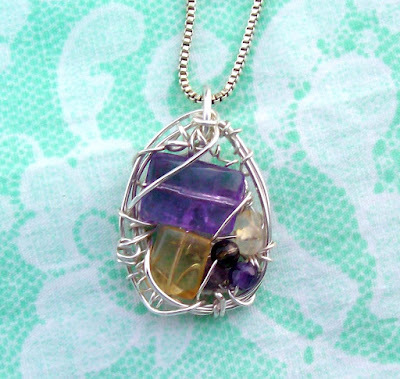 Using wire and natural stones, coordinating bracelets, earrings and rings spark up the display, offering something for everyone. Cynthia Dunn-Selph, from Pine Grove, is a photographer and mixed media artist who recently moved here from. 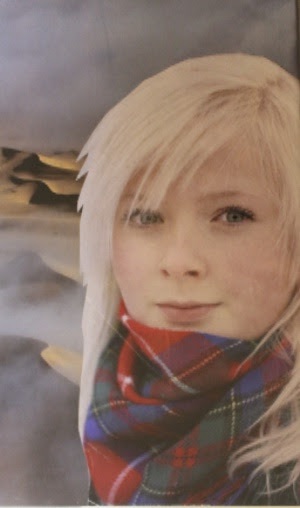 The child of artists, she has been creating art all of her life and likes to combine the many mediums she works in. 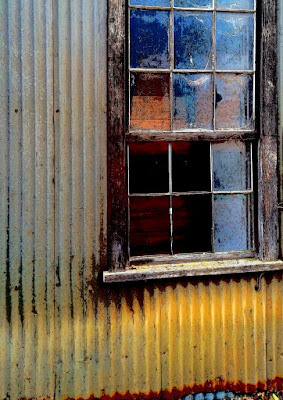 A photographer for over 30 years, Dunn-Selph loves documenting the historical and beautiful gold country, and you’ll see those works in this exhibit. She’s had showings and sales of her work in small galleries in California, Arizona, and Kansas. She served on the governing board for the Oakland Art Studio, where she also taught children's art classes and managed the gallery there. She also was responsible for the gallery at the Art Store in Berkeley. Now a board member of the Amador County Artist Association and a co-op member of the Sutter Creek Gallery, she’s eager to be involved in the Amador art community. 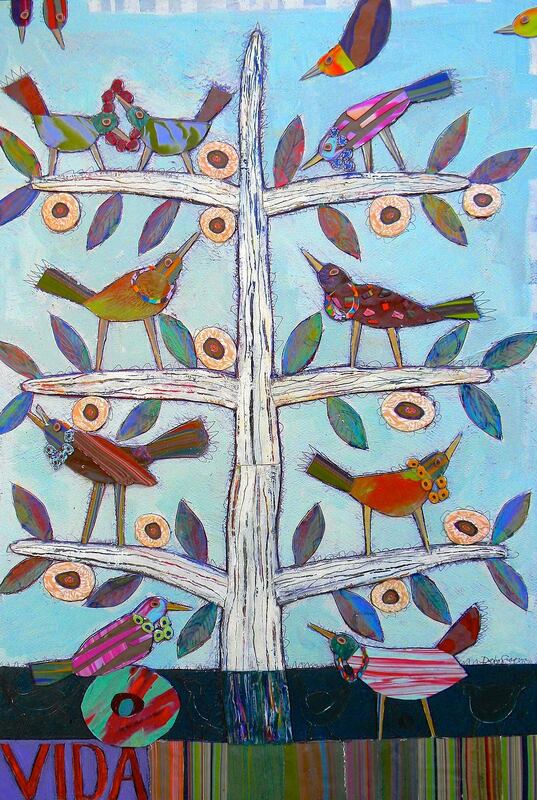 Oil Painter Sarah Dixon will show large and small works "all about cats." 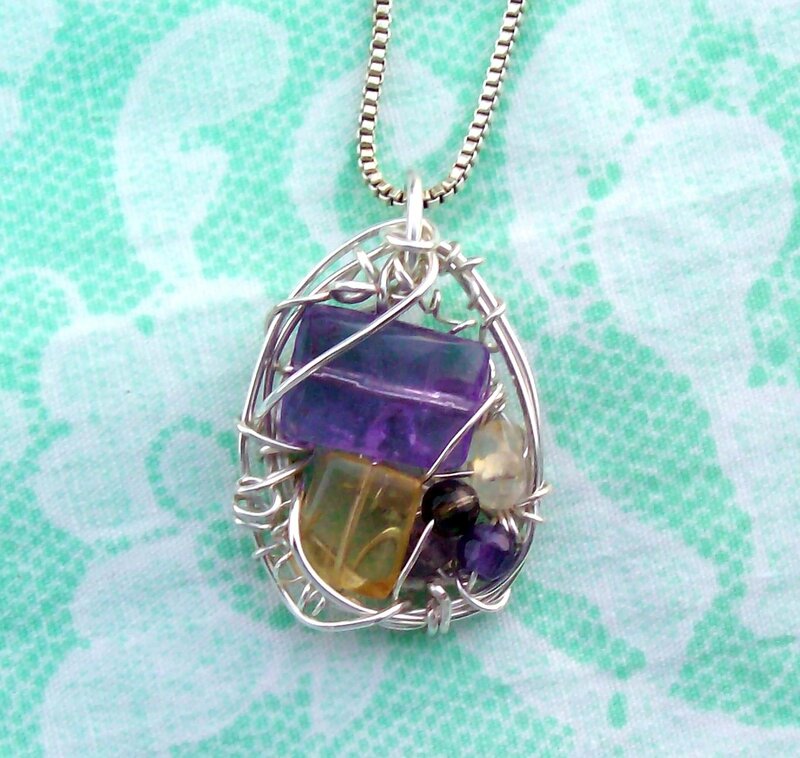 This pendant, titled "Spring", is a part of Karen Crane's new jewelry collection. Do you recognize this Sutter Creek window? Photograph by Cynthia Dunn-Selph. Joining pianist and Friends of Music President Ron Brickman are five exceptionally talented string players from the San Francisco Bay Area. 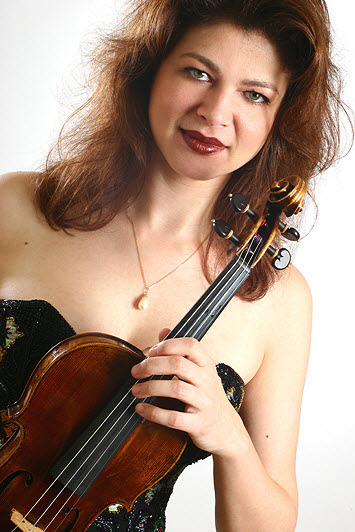 Romanian-born violinist Corina Stoian is an international concert violinist who has become one of the Friends of Music’s most popular players. The former concertmaster of the Chamber Orchestra of Essen, Germany, she now performs frequently as recitalist, chamber musician, concerto soloist and concertmaster of the Friends of Music Orchestra. Stoian is joined by violinist Heather Katz, an Oakland-based musician who is concertmaster of the Redwood Symphony. 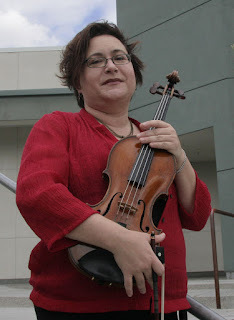 Violist Ted Seitz attended the San Francisco Conservatory of Music and is now a member of several orchestras, including the San Jose Symphony, the San Jose Chamber Orchestra and the Mendocino Festival Orchestra. Cellist Alexandru Dumitrache, trained in his native Romania, is former principal cellist with the Chicago Lyric Orchestra and has worked with Daniel Barenboim and Zubin Mehta. Bassist James Coyne is a recent graduate of the New England Conservatory of Music and is now a free-lance musician in the San Francisco Bay Area. 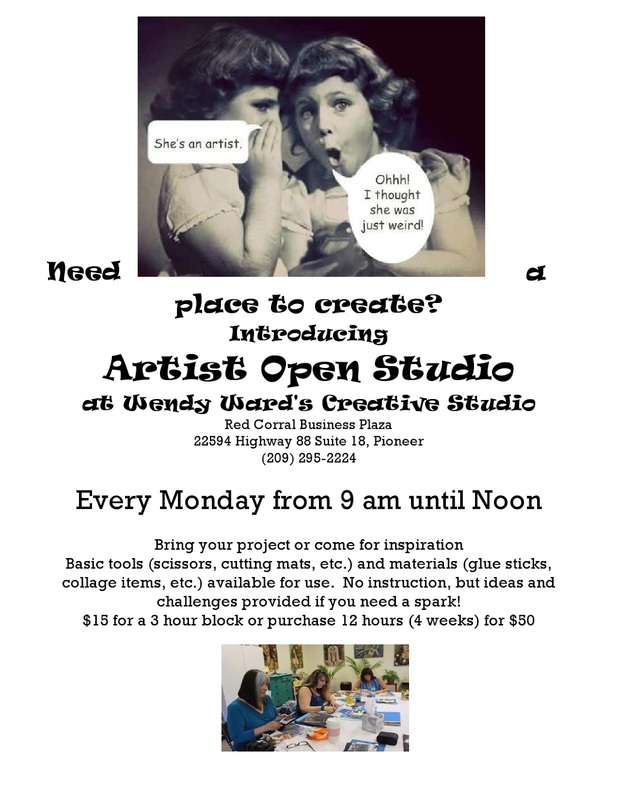 Creative Classes to Kick off the New Year at Wendy Ward's Studio! I love Expressing and Exploring through the Arts. 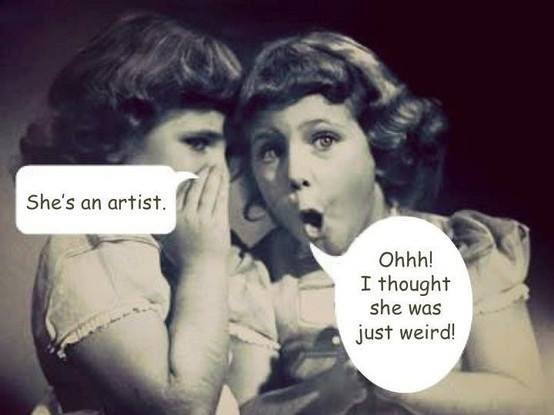 We ALL are Creative (really!) and sometimes it just takes a little urging and an inviting place to nuture those creative sparks. This past year I've worked to create a space that offers a variety of classes and opportunities to get paint (or glue, or ink...) on your hands. An inspirational place for those who already have a Creative Practice and for those who want to Begin! I am an Artist myself, so I will also keep you informed of where my work is showing or events I will be participating in. I wish for you a colorful and inspirational New Year! 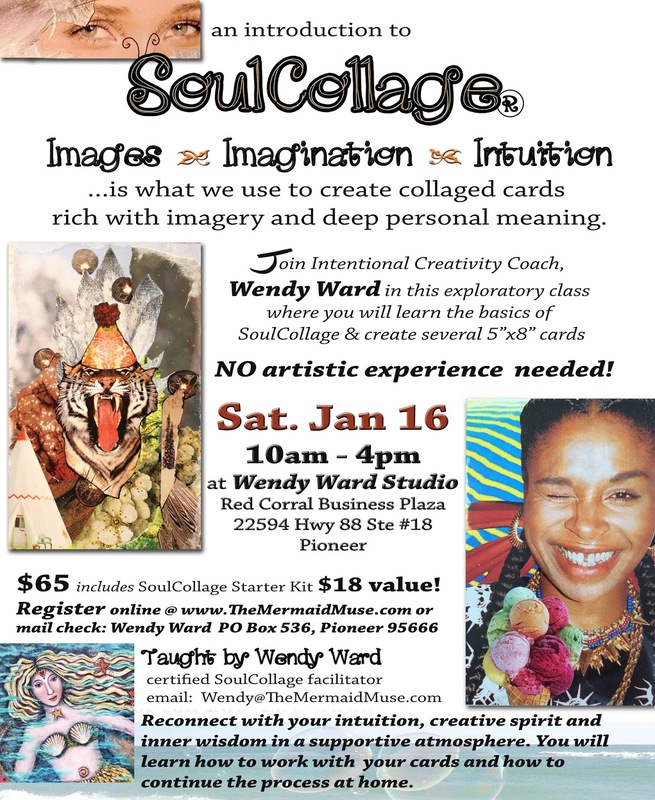 Begin 2016 with Creativity & Intention. Create a 3-D reminder of what you what to bring in for yourself, accomplish or focus on. All materials to create your Shrine & basketfuls of embellishments are provided, but you are encouraged to bring personal items to include. You will be guided through the process so no prior art experience needed. 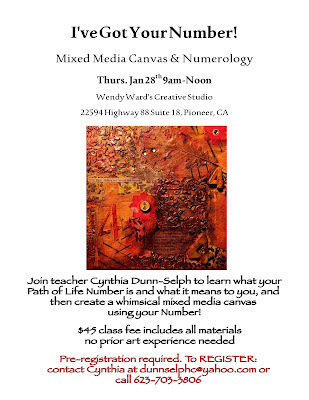 Join Cynthia to learn what your Path of Life Number is, what that means for you and then create a whimsical mixed media piece using your Number. $45 includes all materials. No prior art experience needed. Using guided visualization and step-by-step painting instruction, each participant will paint an image that expresses Inner Peace. We will practice drawing faces and templates are provided if preferred. 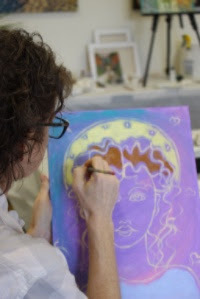 This practice of painting from the inside out is called Intentional Creativity. A 12x16 canvas will be used with acrylic paint. We will build layers and you are encouraged to leave your Critic at home! No prior art experience needed. 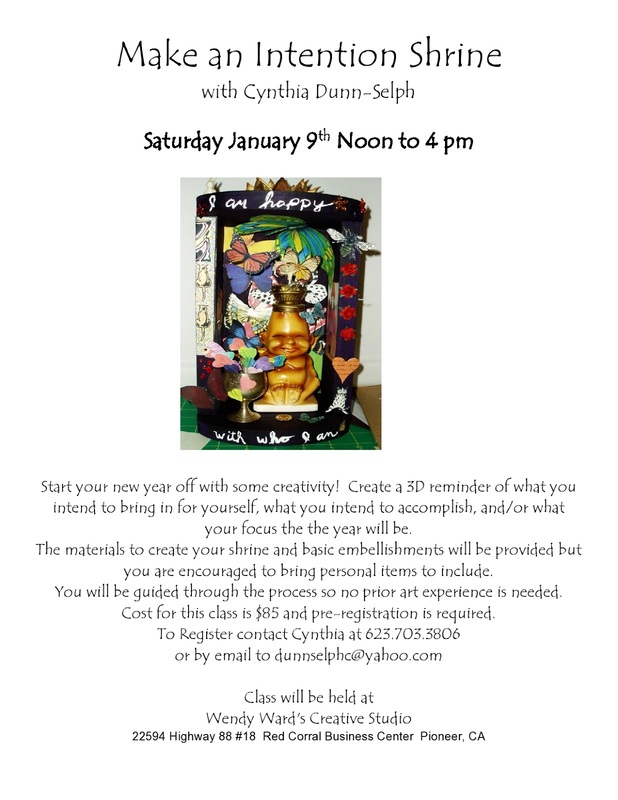 Join me for a Intentional Day of Painting Peace for 2016. $75 includes all materials. No prior art experience needed. 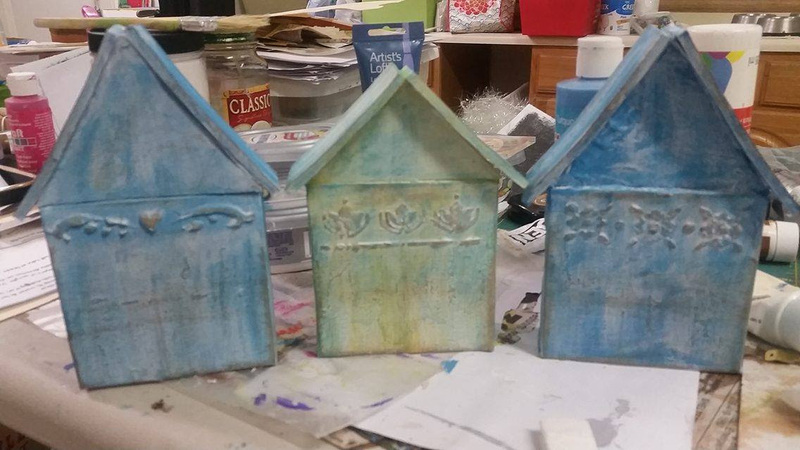 Construct 3 adorable houses using 4x4" canvases & mixed media techniques. All supplies provided. $65 includes all materials. No prior art experience needed. $50 student will receive materials list after registering. Karen Crane, Marleen Olive, Carla Fry & more upcoming workshops! My paintings are currently displayed at the Amador County Courthouse (yep, my Wild Women are in an unlikely place) and at a much more serene setting at Bodies n Balance in the Safeway shopping center in Jackson. Stop in and say "hi" to Denise & Rick... they have given the whole studio a makeover and will be launching a new program soon!